A civil servant, Krishnamachari donned many hats in pre- and post-Independent India, with the most notable being his stint at the Planning Commission. New Delhi: A British-era civil servant and one of independent India’s foremost administrative planners, V.T. Krishnamachari served as the second vice-chairman of the Planning Commission (now, NITI Aayog). Before his appointment, the commission’s vice-chairman was minister of planning Gulzarilal Nanda. However, PM Jawaharlal Nehru recognised that someone with “better economic credentials” was required and appointed Krishnamachari to that position. Krishnamachari also served as one of the two vice-presidents of India’s first constituent assembly. He is best known for his contribution to initiatives such as Community Development Programme (1952) that later formed the basis of the panchayati raj system. 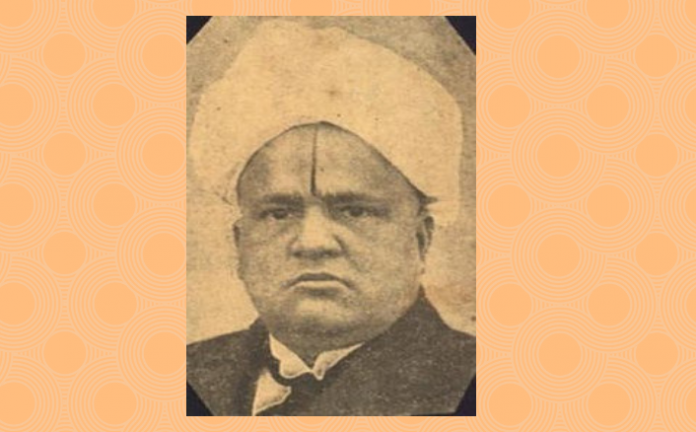 Born on 8 February 1881 in Vangal village of former Madras state (now Tamil Nadu), Krishnamachari attended the prestigious Presidency College, Chennai. After that, he joined the Indian Civil Service. Krishnamachari who had an illustrious career served in a variety of important positions such as the Dewan of Baroda from 1927 to 1944, PM of Jaipur state from 1946 to 1949. He was also a member of Reserve Bank Committee in British India from 1930 to 1934. He was a delegate to all the Round Table Conferences, besides serving as the Indian delegate to the Assembly of League of Nations in 1934 and 1936, the adviser to the Indian delegation to the Imperial Conference in 1937, and chairman of the Committee of Ministers of the Chamber of Princes in 1941. As a member of the constituent assembly, he suggested some major amendments which he later withdrew following objections from some members. One of the amendments he suggested related to the central legislature’s power of acquiring land/property for defence purposes anywhere in the India. Krishnamachari was against the exercise of any sweeping powers which could have allowed the state to arbitrarily requisition property even in times of peace. This amendment was withdrawn after various other members of the assembly objected to it. Another notable amendment suggested by him related to the division of powers between India’s central government and provincial ones. Krishnamachari believed that the provincial governments should reserve the right to implement any international agreements entered into by India if the provisions of those agreements came under provincial jurisdiction (items in what is referred to as State List or List II). This proposal was also withdrawn after objections from other members. After Independence, Krishnamachari was made the vice-chairman of Planning Commission. In 1952, as part of its first development plan, India launched its flagship Community Development Programme which recognised the centrality of India’s villages in the country’s development agenda. The aims of the programme were to increase India’s agricultural production, improve rural health and education systems, and initiate a process of cultural change that would transform the social and economic life of villagers. It was this programme that later provided the basis for the panchayati raj system. Krishnamachari considered India’s villages central to its identity and democratic setup. He believed that it was only due to its villages that India had succeeded in preserving its traditional cultural values over many centuries. He also believed that the foundations of a modern democratic government lay in a village democracy. At the same time, he was no idealist and understood the need for social transformation and adoption of scientific methods in village life. Krishnamachari remains a towering presence in the history of Indian planning and administration. He was the first chairman of Indian Institute of Public Administration from 1954 to 1963. He was also the author of seminal books such as Fundamentals of Planning in India and Planned Development and Efficient Administration. Krishnamachari passed away on 14 February 1964.